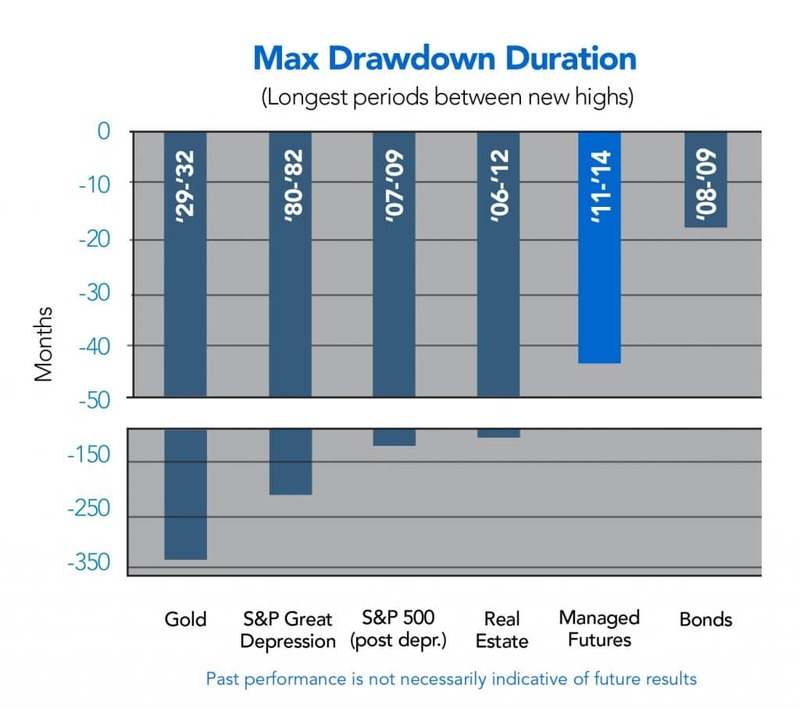 How much of a Drawdown are You Willing to Endure? It’s a question we think most investors don’t really think about until their portfolio is down double digits from the peak equity. The rhetorical question that gets asked even less, is how long are you willing to sit in a drawdown before you get out? This doesn’t mean that the investment strategy is doing poorly, it just hasn’t hit new equity highs in a while. The Financial Times sought out to find that answer, and it turns drawdown tolerance can be tied to age. According to research from Legg Mason, the US fund house, which polled more than 5,000 wealthy individual investors across 19 countries, fewer than one-fifth of generation Y respondents said they would be prepared to hold an underperforming fund for more than a year before they dumped it. In contrast, almost three times as many investors over the age of 40 said they would stick with a poorly performing fund, finds Legg Mason. We aren’t sure what technically qualifies as “Gen Y” but it seems to be the earlier portion of Millennials (immediately after Gen X, born in 1980-1990). Maybe they’re impatient about performance because they grew up with companies constantly selling them immediacy and convenience such as Go-Gurt, or maybe it’s because they’ve witnessed two crashes in the stock market in their lifetime. 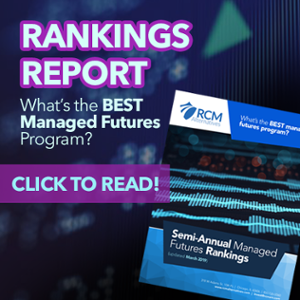 Regardless, these findings are intriguing given our post last week showing some of the turmoil currently going on in the managed futures space. We are realizing that much of the billions that have flowed into managed futures mutual funds over the past few years may not be used to seeing this type of drawdown. They may be thinking the worst, being new to these type of investments, and see this as the start of an MLP-like losing streak where these funds could go from down -5% to -25% to -75%. Well, let us tell you – this isn’t the wild west world of MLPs tied to a one-way bet on volatile commodity prices. These are actively managed investment models dedicated to controlling risk across varying market environments. That doesn’t mean they’ll make money every day of every month. They’ll lose money some days. They’ll sometimes lose money many days in a row. 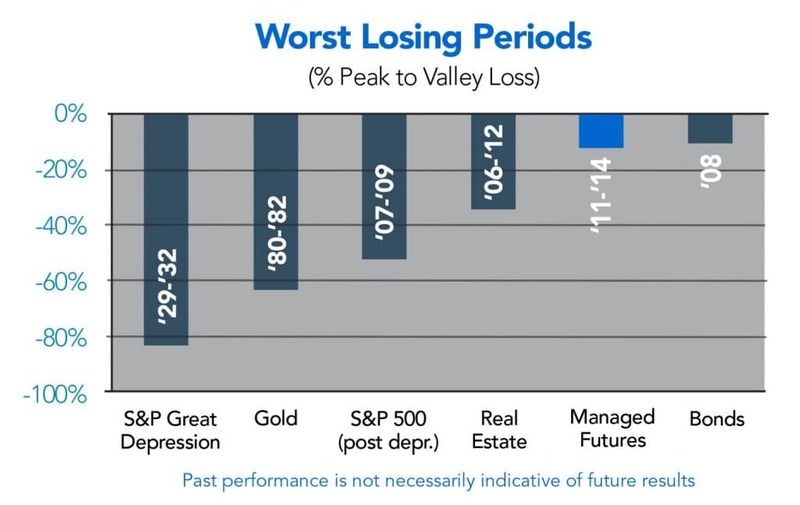 But a look at the statistics shows these losing periods for managed futures are more like Whiskers the house cat than the Big Cat drawdowns seen in stocks, gold, and commodities. And it’s not just the magnitude of the drop, managed futures have a penchant for recovering the drop (perhaps because it’s smaller) a lot quicker than other asset classes as well. To the majority of Gen Y investors saying they wouldn’t stick around after a year if you find an investments strategy that less than a 12 month max drawdown length, we’d love to hear about it. After that, we’d love to hear about their annual return expectations.